Just up the old Michigan Road from Indianapolis, about 75 miles, is Logansport, which, given its key location at the confluence of two rivers (the Eel and the Wabash), existed even before this historic route was platted to it. Logansport was a port on the Wabash and Erie Canal and later became an important railroad town. I’d always been intrigued by this county seat (alas, lacking a historic courthouse) with its plethora of fine old buildings and layers of transportation history. It has a lot of personal history, too. Twenty and more years ago, my mother, who lived in the far north part of Indiana, would meet me here, a halfway point between there and Indianapolis, to spend the day together. We’d hike around, explore old roads, and sample the local eateries. 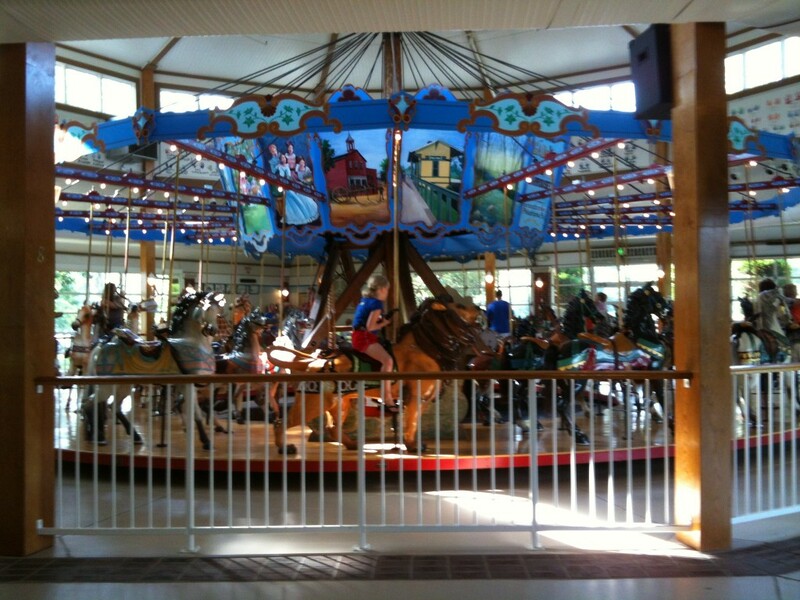 If we stayed in Logansport, we wandered the downtown, the historic Mount Hope Cemetery, or the parks, usually Dykeman or Riverside (on the Eel River), where we’d ride the carousel and try for the brass ring. Mom would tell me stories about the carousels of her youth and her collection of non-brass rings! Once or twice we played miniature golf on an old course near the carousel, great old-fashioned fun. It’s still there. 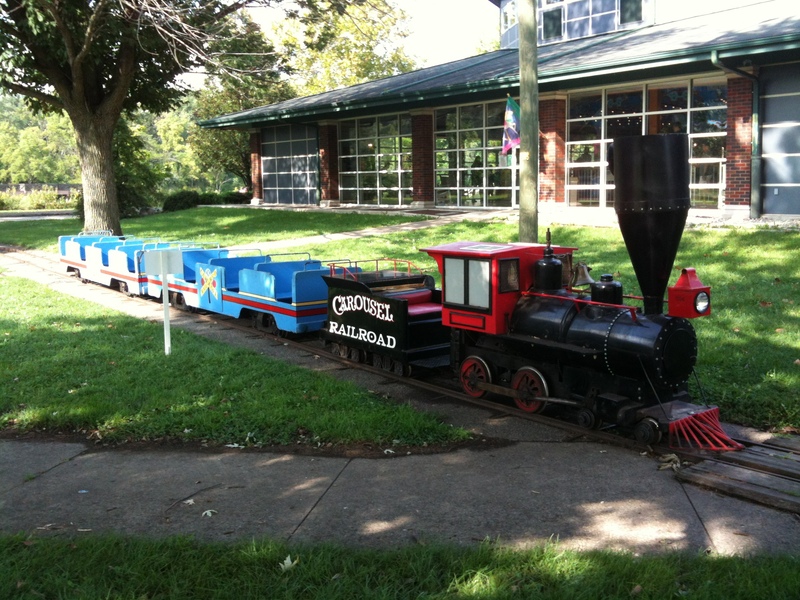 In recent years Logansport has been making very good use of its historic assets. In 2009 it was designated a Preserve America Community. Today a historic railroad depot downtown houses a museum and anchors an attractive riverside public space to the south, the Little Turtle Waterway Plaza City of Logansport, Indiana / Locations / Little Turtle Waterway Plaza & Trail , a nice place to start an exploratory walk downtown that still boasts a number of great old buildings, many of which now house interesting shops and restaurants. From there also are trails to follow along the Wabash River. In the past few years quite a lot of new public sculpture has appeared downtown, including a carousel horse, clearly a tribute to that 19th century carousel in Riverside Park, which came to Logansport from its previous location in Fort Wayne in 1919. It was carved by master craftsman Gustav A. Dentzel, considered the best in his art, and is a National Historic Landmark–one of only three complete Dentzel carousels in the country. (By the way, Indiana boasts another at the Children’s Museum in Indianapolis.) Despite this honored status, rides are only 75 cents, and you can still try for the brass ring! Cass County Carousel, Inc | Logansport – Cass County Indiana Unlike 25 years ago, the carousel is today housed in a climate-controlled building, the better to ensure its preservation. I appreciate the need, but I’m a bit nostalgic for those days when it was in an open shelter and its joyous music rang through the park on a sunny afternoon. The miniature golf course still remains, not far from the carousel, as does the old miniature train. Along with Dyckman Park, Riverside Park contains several 1930s-era Works Progress Administration resources–always a plus for me! Riverside is on the Eel River, and a recently constructed bridge connects the Eel River Run Trail in the park with the River Bluff Trail on the other side. That trail leads to the 35-acre Hervey Nature Preserve, which even includes a labyrinth. 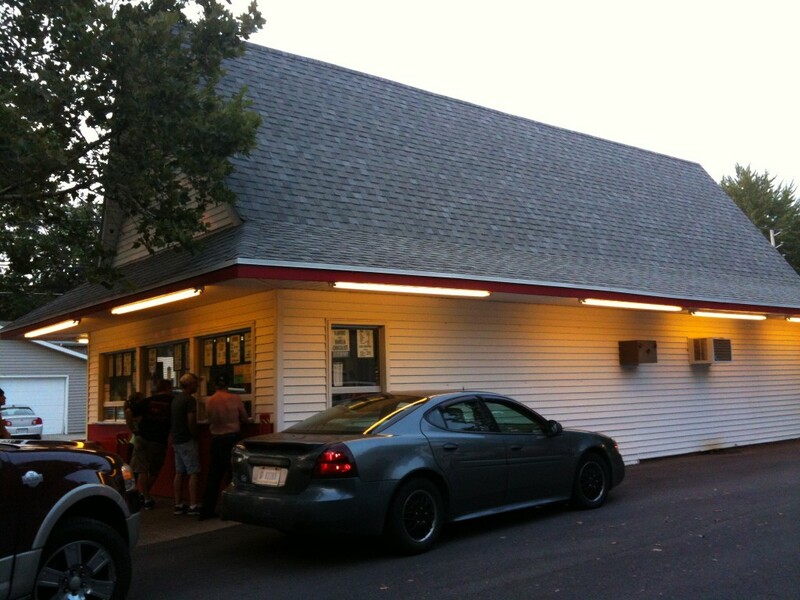 I’m fond of old drive-in restaurants, and Logansport has two I recommend. 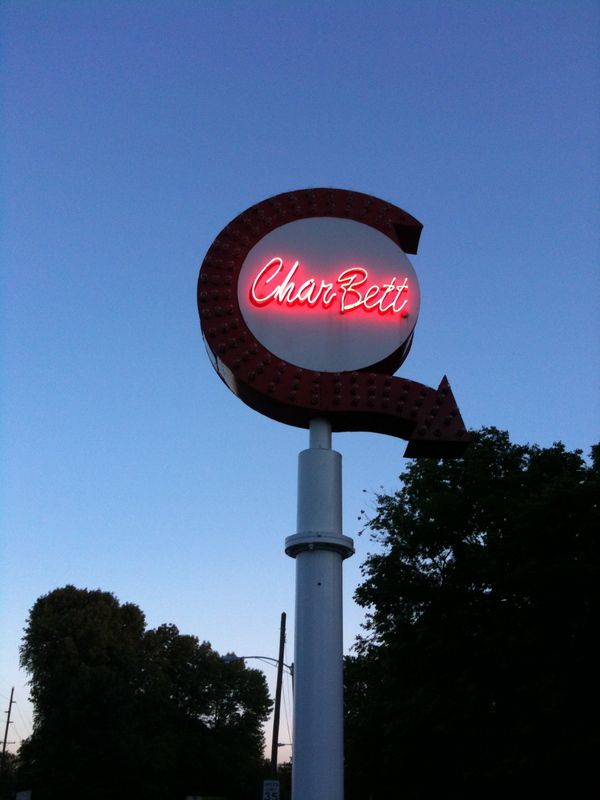 The Char-Bett is located in a former 1930s gas station on the outskirts of town on the old Michigan Road (State Road 25) heading northeast toward Rochester: tasty drive-in food and all manner of ice cream treats, including sodas, which can be hard to find these days. I had passed it several times in my journeys up and down the Road, but always in the off-season. This year I’ve managed to stop twice. For some reason, over the years I had missed the Sycamore Drive-In, just off old US24, once a major route, at 316 20th. I reveled in the discovery, for they, too, offer sodas among their ice cream treats and a nice assortment of drive-in fare. How fortunate Logansport is! This entry was posted in Following in My Foodstops, On the Road Less Taken... and tagged carousels, Indiana roads, Logansport, Michigan Road, road food, roadside attractions. Bookmark the permalink.